Showing 42 articles from November 18, 2015. 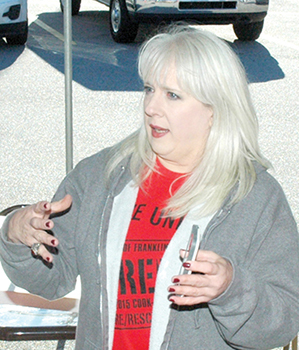 LOUISBURG -- The United Way Board of Directors voted to terminate its executive director Tuesday morning, after more than a year of apparent simmering personality conflicts. Kathy Harrelson, who had been in the position for about seven years, said the move was what she termed a calculated ambush by members of the board who were committed to oust her. LOUISBURG -- A Youngsville woman was sentenced to spend 10 to 13 years in jail for her role in a deadly, alcohol-fueled domestic shooting that family and prosecutors allege was prompted by an argument over potato salad. Franklin County Sheriff's deputies arrested Charlyn J. Logan in October 2013, charging her with first degree murder for her role in the shooting death of Wayne Logan, her husband of more than 20 years. Christmas decorations went up around Louisburg this week, signaling the beginning of the Christmas holiday season which will begin with Thanksgiving next week. In this photo, Ryan "Stick" Murray hangs a lighted snowflake while his Electric Department partner, Hunter Bland, watches. Local Christmas parades will begin in early December. 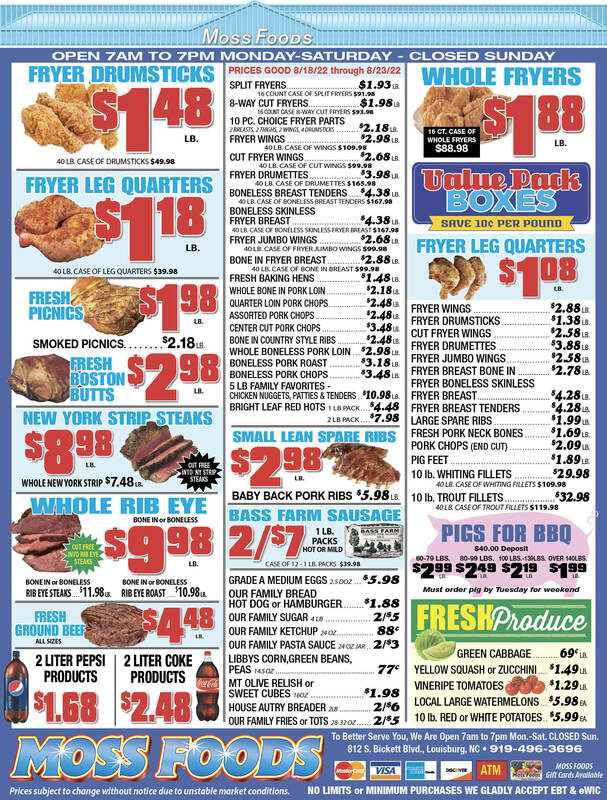 Keep an eye on The Franklin Times for dates and times. 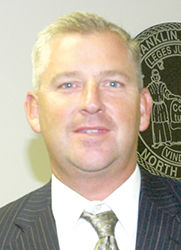 LOUISBURG -- Commissioner Shane Mitchell announced that he would not seek re-election following the conclusion of his term in 2016. "I believe I have served this community well and I appreciate the confidence that people have put in me," said Mitchell, who has served as chair and vice chair during his two terms on the board. Mitchell didn't rule out the possibility of running for office again down the line, but he said he's ready to step away from public service at the moment. LOUISBURG -- A man accused of shooting and killing a friend and one-time co-worker was sentenced to between 3.5 and six years in prison this week. Franklin County authorities arrested Richard Antione Toney on Feb. 26, hours after they allege he shot 51-year-old Thomas Schramm in the chest following a snowy day of drinking and shooting a gun. Initially, Assistant District Attorney Ben Hunter said, Toney and other people at the Dupree Drive home said that the shooting was the result of a home invasion by an unknown assailant. LOUISBURG -- Franklin County sheriff's deputies are investigating the second breaking and entering reported on Moulton Road in five days -- the first of which included a dog that was shot to death inside the home.. The evening of Nov. 13, Brooke Duke reported that she arrived at her Moulton Road home to find that someone had broken in and stole several items. When she went into her bathroom, she found her German Shepherd, Marley, had been shot and killed and left in the bathtub. It's getting increasingly difficult to deny being one of those old "fuddy-duddies" that we used to chuckle about when we were kids. It's not just the "snow" on the roof -- although there is plenty of that! -- it's the increasingly skeptical attitude about what some call progress but which, to us golden oldies, seems increasingly like an invasion of privacy. Granted, all these electronic gizmos are helpful at times -- this column is being written on one -- but they are reaching so deeply into our lives their effects seem downright creepy. Last week, some members of the North Carolina General Assembly were more than a little frustrated with the University of North Carolina Board of Governors. And, it's a safe bet that almost every experienced news reporter in the state wore a little self-satisfied smirk while reading about the lawmakers' frustration. The problem the lawmakers faced is one that reporters have been complaining about for years. It's called the North Carolina Open Meetings law. One of my favorite shows of all time was Smallville. It was the story of a young Clark Kent who turned the lessons of his small-farm upbringing and Kryptonian heritage to become the comic world's greatest hero -- Superman. While he has super strength, heat vision and can fly, Superman's greatest power is his belief and optimism. 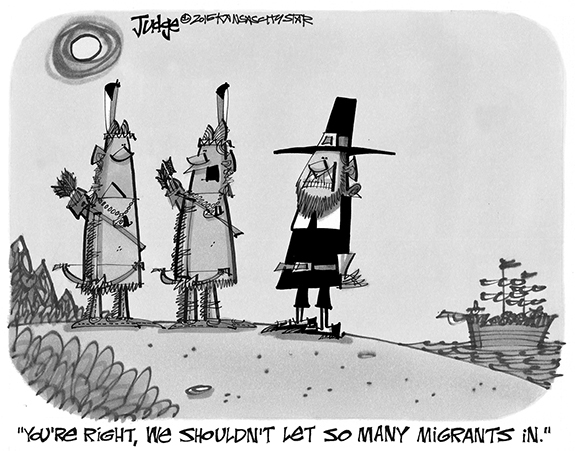 "But this is predicated upon the person's becoming in every facet an American and nothing but an American ... There can be no divided allegiance here. "Any man who says he is an American, but something else also, isn't an American at all. We have room for but one flag, the American flag ... We have room for but one language here, and that is the English language ... and we have room for but one sole loyalty and that is a loyalty to the American people." Last week, I wrote about how foolish I thought Governator Pat McCrory was to start a fight with the two largest newspapers in North Carolina after they exposed one of his alleged pay-for-play capers. I predicted he had taken a bad situation and transformed it into a disaster. Having been insulted and provoked, the newspapers have not stopped the counter-attacks. Considering that they have a larger and generally regarded to be more credible megaphone than he does, this was not politically astute. Dear editor: We're fortunate to have a local newspaper, The Franklin Times, and even more fortunate to have one that is locally owned. The advent of the so-called "social media" has had a devastating effect on our more traditional methods of communication: print, telephone, radio, and television. Dear Editor: On behalf of all the citizens of Louisburg; Thank you George Manley for your years of service on the Town Council. Your servant leadership has been greatly appreciated. HIGH SPRINGS, FL - Alva Wiggins Parrish, beloved wife of 67 years of George W. Parrish, went to be with the Lord November 16, 2015, at her home in High Springs, FL. Alva was born in Louisburg, NC, on March 11, 1931, to R.W. and Eva Wiggins. Alva deeply loved her family, horse racing, Nascar and shopping. LOUISBURG - Clint Randall Faulkner, 25, died Thursday, Nov. 12, 2015 at his home. A private memorial service was held. TURNED AROUND. 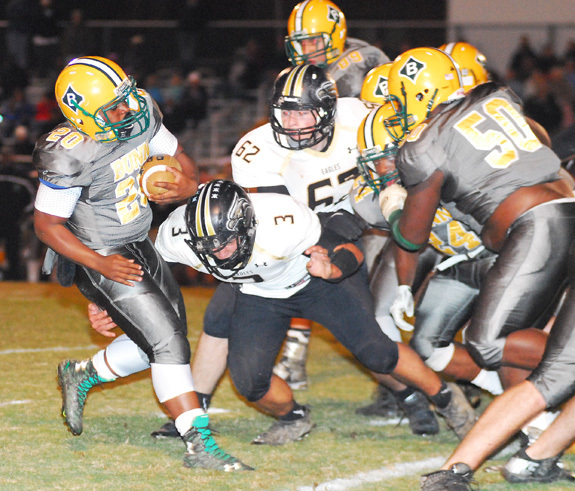 Bunn's Chris Bumpers (left) spins his way through a tackle attempt during last Friday's home football playoff victory against the East Davidson Eagles. Howle got exactly what he was looking on the defensive side of the ball during last Friday's 49-6 home decision over East Davidson during the first round of the postseason. JUST BOOT IT. 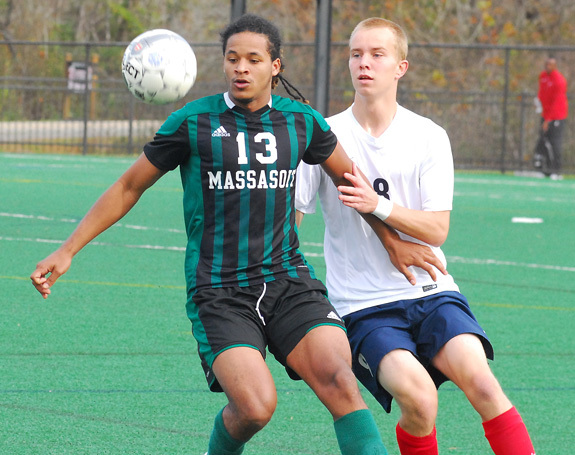 Louisburg College's Robert Smith (right) advances the ball during Monday's first-round match with Massasoit at the NJCAA National Men's Soccer Tournament in Martinsville, Virginia. MARTINSVILLE, VA. 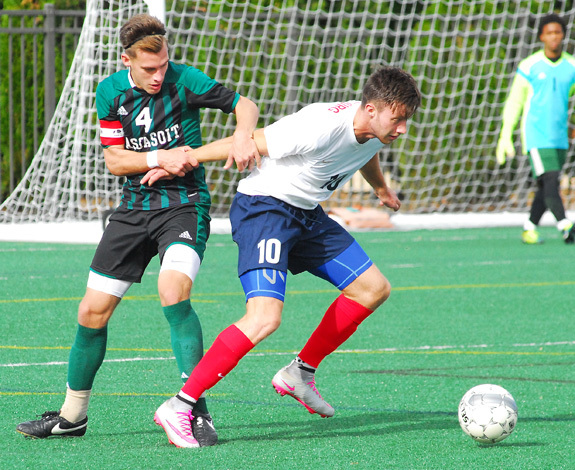 Since the program began to excel in the late 1990s, Louisburg College's men's soccer squad has always set a goal to make the championship match at the National Junior College Athletic Association National Tournament. Louisburg is now two victories away from a finals appearance after opening this year's tourney with a 3-1 victory over Massasoit (Mass.) during pool-play action Monday at the Smith River Sports Complex. LOUISBURG -- Due to injuries, Louisburg College's women's basketball depth chart is only showing nine available players. But each of those nine, on a given night, is capable of a big performance -- and that intangible has helped spark the Lady Hurricanes in the early portion of the 2015-16 campaign. 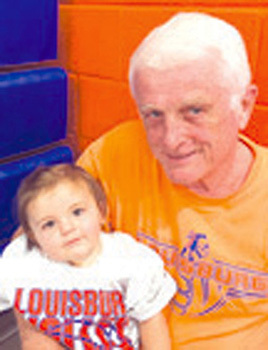 Louisburg, coached by Shay Hayes, is currently 6-0 after picking up a pair of victories last weekend at home as part of the annual Pizza Hut Classic at the Taylor Center. TEEN BEAT. 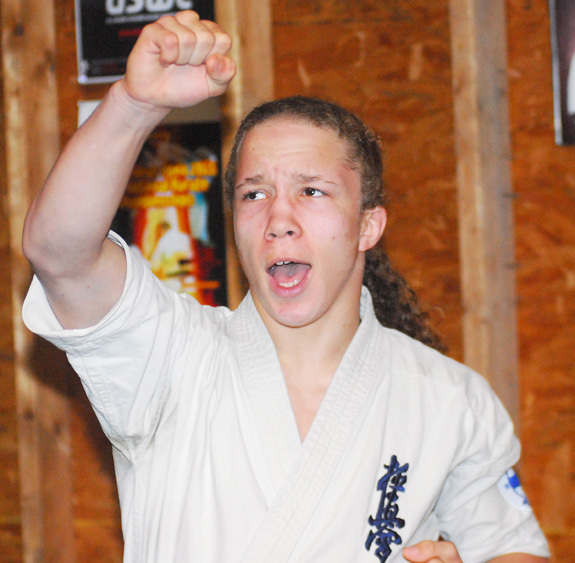 Christian Buffaloe will compete next week in the World Teen Kyokushin Championships. WARREN COUNTY -- Even though he just celebrated his 16th birthday, there is a sense of finality about Christian Buffaloe's upcoming appearance at the National Teen Kyokushin Karate Championships in Tokyo. Buffaloe, who resides in Warren County, is making his third appearance at a tournament in Japan, but this will be his first and final entrance into the teen event, which happens every four years. BUNN -- Some locals who have been around him long enough will swear that Spencer Brickhouse was born with a baseball bat between his hands. Maybe that's an exaggeration, but it probably wasn't long after that when Brickhouse put his fingers around a bat for the first time. 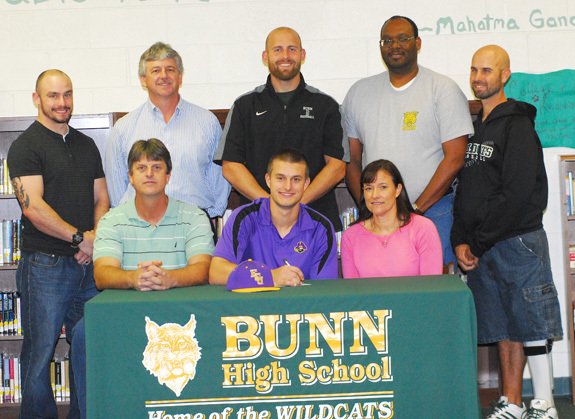 One of the best pure, natural hitters Franklin County has ever produced, Bunn High School's Brickhouse verbally committed over one year ago to continue his career at East Carolina University. BEULAVILLE -- Franklinton's football season came to a close last Friday with a 48-22 loss at East Duplin in the opening round of the Class 2-AA State Playoffs. FRANKLIN COUNTY -- Uncertainty usually accompanies the North Carolina High School Athletic Association's classification realignment, which happens every four years. But Franklin County's three high school athletic programs are even more uncertain heading into the next realignment, scheduled to begin in the Fall of 2017. That's because Bunn, Franklinton and Louisburg aren't sure how their respective conference affiliations will shake down, and the potential is there that each school will be in a different league under the newest realignment. HENDERSON -- The Vance-Granville Community College Vanguards men's basketball team won its first two games of the 2015-16 season before dropping the next two to nationally-ranked opponents. 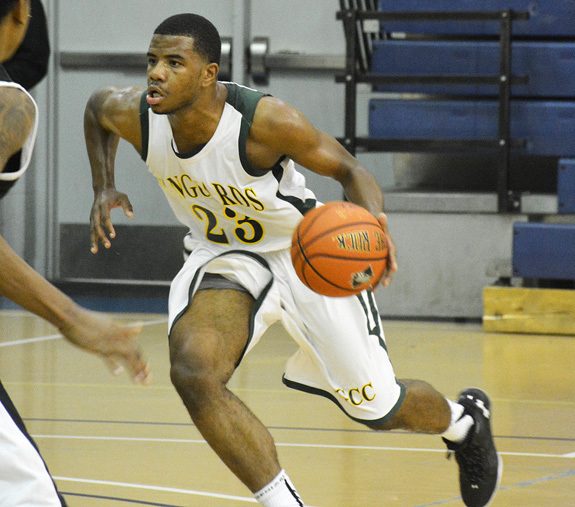 VGCC kicked off the regular season with a 67-57 victory over conference rival Wake Tech Community College on Nov. 6 on the Vanguards' home court, Aycock Recreation Center in Henderson. ZEBULON -- The Carolina Mudcats are allowing fans to give the gift of baseball this holiday season with their one-of-a-kind 2016 Muddy's Holiday Packs. This new ticket package offer is available now and will run through January 8. Muddy's Holiday Pack includes up to 15 box seat ticket vouchers, a 20% off coupon to the Tackle Box team store and a Mudcats Snow Globe (while supplies last) for as low as $50. 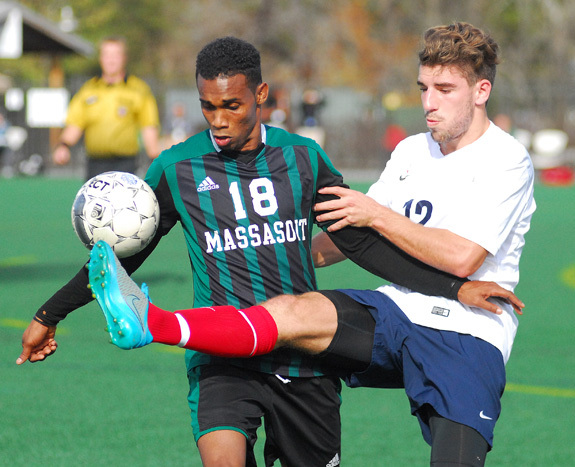 (L to R) Massasoit's Elvis Andrade and Louisburg's Ben Foulds follow the flight of the ball during Monday's action at the NJCAA National Soccer Tournament. Louisburg College's Max Blackmore (right) is fouled in obvious fashion during Monday's action at the NJCAA Men's National Soccer Tournament. 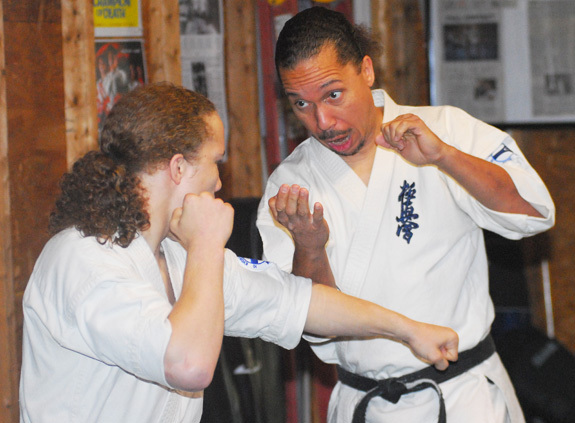 Kenny Buffaloe (right) serves in a variety of roles in his son's life, including sparring partner during a recent training session. The economy of Franklin County on the eve of the Civil War was based largely on agriculture, but census takers in 1860 recorded interesting information about a variety of small manufacturing enterprises. The census reflected operations during the year ending June 1, 1860. The Tar River and some of the county's numerous streams provided power for at least seven mills. Most of these, such as the ones owned by John D. Hawkins, Joshua Perry, and Thomas Davis, ground corn and wheat into corn meal and flour. 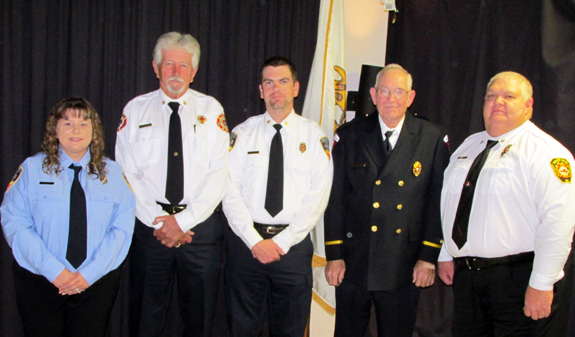 The Franklin County Firefighters Association welcomed new officers. From left, Mitchiner's Crossroads Firefighter Brandi Morris, secretary; Youngsville Fire Chief Tommy Lloyd, vice president; Mitchiner's Crossroads Fire Chief Jim Pearce, president; Pilot firefighter Donnie Eatmon, chaplain; White Level firefighter Johnny Hight, treasurer. Contributed photo. 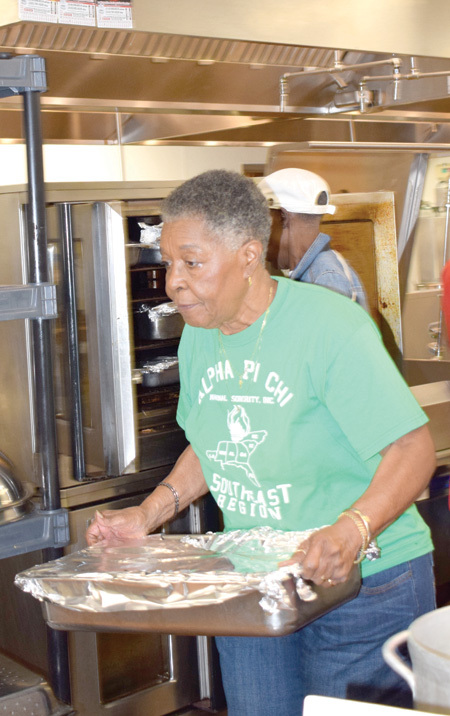 A Blessing Inc. will have its Thanksgiving Day meal on Nov. 26 from 11 a.m. to 12:30 p.m. in the Louisburg College Cafeteria. There is no charge. Donations of canned food appreciated. 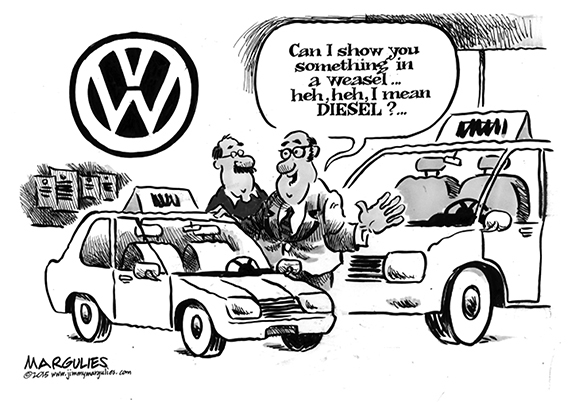 If you need a ride, call (919) 496-4299. LOUISBURG -- Investigators arrested a handful of people and are looking for more after a grand jury indicted several people in a seven-month drug sting. Franklin County Sheriff's Office Chief of Staff Terry Wright said officers are looking to serve warrants on 120 felony charges related to illegal drug sales. LOUISBURG -- The General Assembly regulates hunting across the state, but that didn't stop Strickland Road resident Robert Henderson from challenging county commissioners to do something to protect property owners from reckless hunters. The board, though, didn't appear up to the task -- they did not respond with any plan or stated intent to pass Henderson's concerns along to their legislative representatives. YOUNGSVILLE -- Town commissioners approved an incentive plan they expect will help the town grow within its boundaries. Last month, town planning consultants N•FOCUS presented commissioners with a plan to provide incentives to subdivision developers if they built within town limits. The goal, said N•FOCUS representative Bob Clark, was to spur development in town without the use of an unavailable and controversial tool -- involuntary annexation. LOUISBURG -- Leaders in Franklin County and Louisburg have reached a final agreement with Novant Health about the transition of the former hospital. In October, all three sides began negotiating an agreement that would, essentially, pay Franklin County $1.63 million to support the required increase in ambulance service in the county, deed to Franklin County all related property of the hospital including its Certificate of Need or license to operate, and obligates Novant to maintain the hospital building and grounds for one year and to maintain insurance on the property. 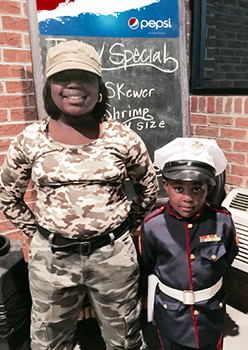 In honor of Veterans Day, Tara and Travis Pressley of Louisburg wanted to honor local veterans by both dressing up in their service uniform of choice and volunteering at Johnny Bull's Steak House to open the doors for customers. They gave all veterans a letter thanking them for their service. Tara and Travis are the children of Willis and Takeema Pressley of Louisburg. LAKE ROYALE -- The State Medical Examiner's Office identified a body pulled from Lake Royale as that of a man reported missing last week. Authorities were notified late in the evening on Nov. 12 that Alan Tubman was missing from his lakefront home on Sagamore Drive. Evidence suggested that Tubman might have in the water, prompting dozens of responding crews to conduct a water search, as well as a ground and air search. LOUISBURG -- The Louisburg Town Council adopted a new policy concerning some governmental hearings, got an update on its pending Joyner Park upgrade project and handled a few other routine business items during a Monday night meeting. The policy that was unanimously adopted covers "quasi-judicial hearing procedures" that are used in some meetings held by the Historic Preservation Commission, the Zoning Board of Adjustment and others.